Austin Dillon (left) will drive for grandfather Richard Childress (right) next season in the Sprint Cup Series. The 2014 season is going to bring us a lot of changes. One of those is a really deep rookie class like we haven’t had in a while. Now that equates into a lot of yellow bumpers next season and, as we all know, yellow bumpers tend to make a lot of mistakes. Being a rookie can be a rough and rocky road. I mean, that’s to be expected with any rookies in any professional sport. I am really excited about our rookie class, though. They are all the type of talent we want to see in the future of our sport. They are well-spoken. They seem to have patience and determination. All those things are necessary to make it at the NASCAR Sprint Cup level. It’s going to be a tough undertaking, but because there are so many of them, maybe they can draw strength off one another. Hopefully, to a person they will understand they aren’t racing Jimmie Johnson, Kyle Busch or Tony Stewart right now. Now sure, they are on the track at the same time in the same race, but the reality is these rookies are racing each other next year. If you are the best rookie out there each and every week, well, that really is a confidence builder. As your talent, understanding of the sport and confidence grow, it’s then that you begin to set your sights on moving up. DW: To 3 or not to 3? 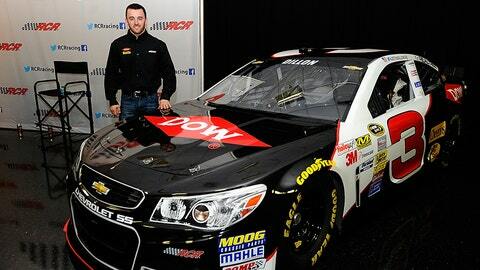 To me the biggest name in the rookie class also naturally comes with the biggest pressure, and that is Austin Dillon. 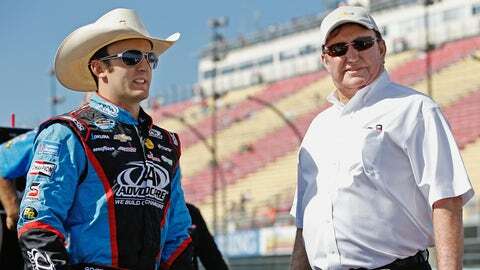 He’s the shown what he can do in the other NASCAR series, and his grandfather, Richard Childress, has decided that 2014 is the year for Austin to move up and also to bring back the No. 3 to the Sprint Cup Series. While there are absolutely no guarantees on success, I believe this young man has what it takes to be successful. What he can’t allow himself to do is get caught up in all the pressure that comes with his car number. He is not Dale Earnhardt. He never will be. Austin needs to worry about just being Austin and, as I mentioned earlier, worry about being the best rookie driver out there each and every week. When you look at the entire rookie class, I really believe they will be a storyline we can talk about almost each and every week in 2014. Some will exceed expectations and some won’t live up to expectations. That’s just human nature. I hope they all are successful. The year 2014 should be a fun one to watch them begin their NASCAR Sprint Cup careers.